ICC Australia and Australian Chamber members have access to discounted publications and resources via the ICC Store and the ICC Digital Library. Information about the Digital Library and some of the more recent ICC publications is below. ICC Australia and Australian Chamber members receive up to 20% discount off the annual Digital Library subscription fees. The ICC Digital Library delivers access to a wide range of reference materials from the world business organisation to promote innovative research and learning. The Library is categorised into two channels – Dispute Resolution and Trade Finance – with a third, Incoterms® and Commercial Contracts, being released shortly. The live channels contain hundreds of relevant reports, documents, articles, awards, news and more. This is the second publication of the ICC Task Force on Cartels and Leniency and the fourth practical guide developed by the ICC Commission of Competition, this time, to assist business in the fight against cartels. Members can access the ICC Dispute Resolution Bulletin, free-of-charge. The latest issue includes commentary, reports, articles and book reviews. To access the eBulletin, you must have Adobe Digital Editions (ADE) installed on your computer. Once you have downloaded ADE, you can access the Bulletin here. All back issues of the Bulletin can be found in the ICC Dispute Resolution Library. In complex transactions, international as well as national co-operation between companies require solid and balanced terms and conditions. ICC has prepared this Joint Venture Model Contract for use by small, medium-sized or large companies in order to provide them with a unique, balanced platform that is fair to all parties. The amended ICC Rules of Arbitration entered into force on 1 March 2017. 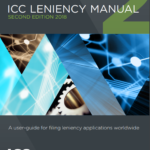 They include an ICC expedited procedure automatically applicable to cases with an amount in dispute below USD 2 million unless expressly excluded by the parties. This Dossier XVI of the ICC Institute of World Business Law explores some of the ways and means to conduct proceedings in a reasonable time without jeopardising due process. It also looks at the specific issue of summary judgement and the enforcement of such decisions. Looking back through history, the authors consider what we can learn from the past with a view to the future. 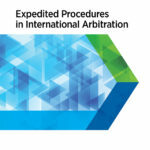 The Dossier will help arbitrators, counsel and parties to properly address the challenge of reducing the duration and cost of arbitration proceedings.